At this year's Interphex as well as at Powtech, Coperion K-Tron will display the next generation of its highly accurate, gravimetric K3-PH feeders for the pharmaceutical industry. These modular feeders have been specially designed to meet the growing demands of continuous processing. Thanks to the use of a smaller D4 platform scale incorporating the patented and highly accurate Smart Force Transducer (SFT) weighing technology, they require significantly less floor space compared to previous models. Depending on the process and requirements, several feeders can be grouped into a cluster, for example for continuous processes such as direct compression (CDC), extrusion, wet and dry granulation, and continuous coating as well as traditional batch processes. 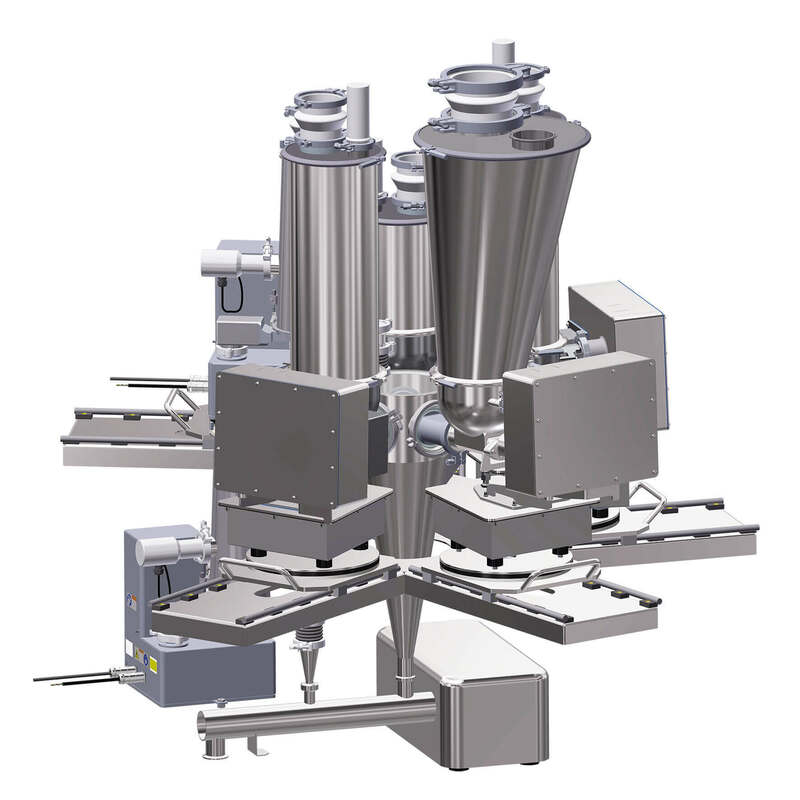 The modular design of this innovative feeder line simplifies cleaning and reduces changeover times. The "Quick Change" design, whereby the feeder bowl can be quickly decoupled from the feeder drive, also enables simple and fast product changes. By simply releasing two clamps, the used feeding unit can be removed and replaced with a clean one. The new D4 platform scale features the same advanced sanitary design of the established Coperion K-Tron D5 scale. Smooth, crevice free surfaces prevent deposit of dust and product residue and enable easy cleaning. The redesign of the scale from a round design to a trapezoid design features a much smaller footprint and facilitates an optimized multi-feeder arrangement. This is especially useful in areas with limited space, where multiple ingredients must be fed into one process inlet. At the heart of the new D4 scale, Coperion K-Tron’s SFT single wire weighing technology provides a highly accurate weight signal with a resolution of 1:4,000,000 in 80ms. The electronics include linearisation, temperature compensation and a digital low-pass filter to reduce the effect of plant vibration. The 100% digital design eliminates the need for calibration.